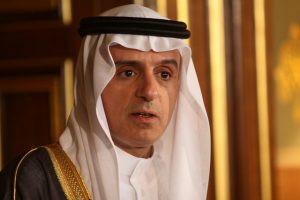 Saudi foreign minister Abdel Jubeir Tuesday said Saudi Arabia is ready to maintain blockade on Qatar for as long as the tiny gas-rich country does not stop supporting terrorism, claiming that Qatar is prolonging the Gulf Cooperation Council stalemate by failing to address the concerns of the four Arab countries boycotting it. Qatar has been facing boycott by its regional neighbors namely Saudi Arabia, United Arab Emirates (UAE), Bahrain, plus Egypt since June 5 over allegations that it funds terrorism. The four countries cut sea, air and ground links with Qatar. However, Saudi Arabia last month reopened Qatar’s only ground border to allow Qatari pilgrims to perform the Hajj. Speaking to reporters from the Saudi embassy in London, he said the quartet anticipated the stalemate will hold for some time. If the Qatar crisis continued for another two years “so be it”, he said, adding that the four could press additional sanctions against Qatar. “We are ready for the continuation of the crisis with Qatar… we will decide whether there are other sanctions on Doha, according to the circumstances,” he said. Qatar has refuted the allegations by the Saudi-led quartet, saying it is a victim of a smear campaign. Doha has said it is ready for dialogue to defuse the crisis but on condition that Qatar’s sovereignty is respected. 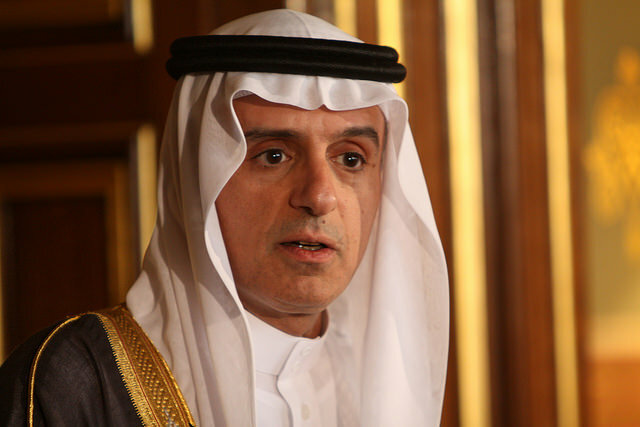 During his visit to London, Al Jubeir conferred with a number of high-ranking British officials, including Prime Minister Theresa May and foreign secretary Boris Johnson.